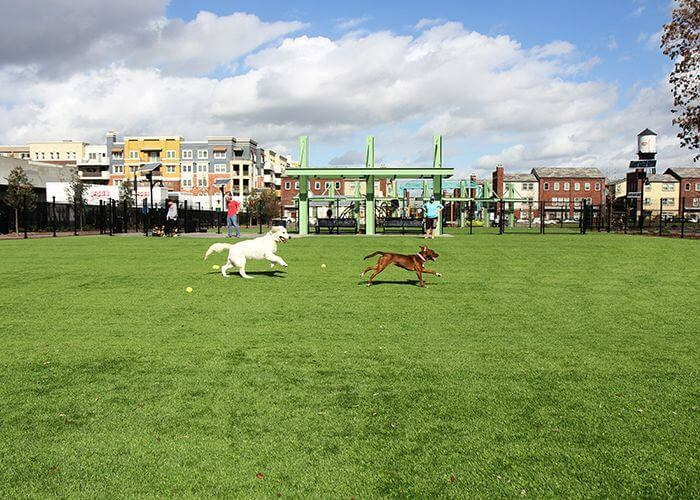 Kennel owners love Denver Artificial Grass Pros turf for dogs because it stays clean. Our sand and rubber infill provides a surface that is not only play-friendly but provides superior drainage. Spilled water bowls or urine drain right through the surface, and it’s easy to pick up, or hose away the waste. Our artificial grass is also low maintenance, and saves you time and money. 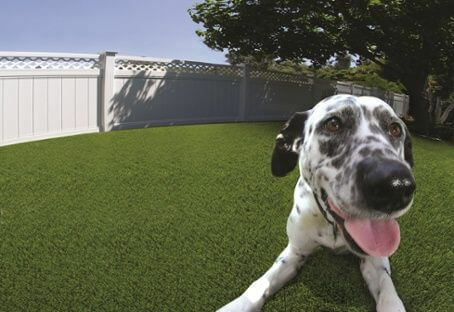 Installing our fake grass for dogs is a smart investment inside your kennel and outdoors in common play areas. With no muddy paws to worry about, dogs can play freely, 365 days a year. But at Denver Artificial Grass Pros, we aren’t a one trick pony. We also do all sorts of other types of commercial landscaping work!